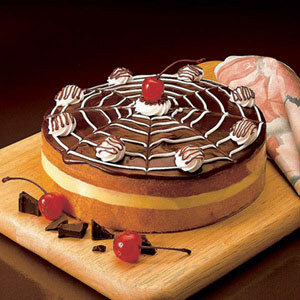 This cake will be garnished on top with fresh cream, chocolate pieces and blue berry syrup on top. The designing using all the toppings may vary a little from the image shown. 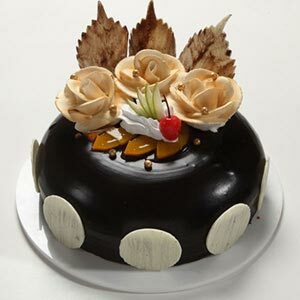 When you need to give a delightful treat surprise to your dear one on a special day, this is the Cake you must make choice for. 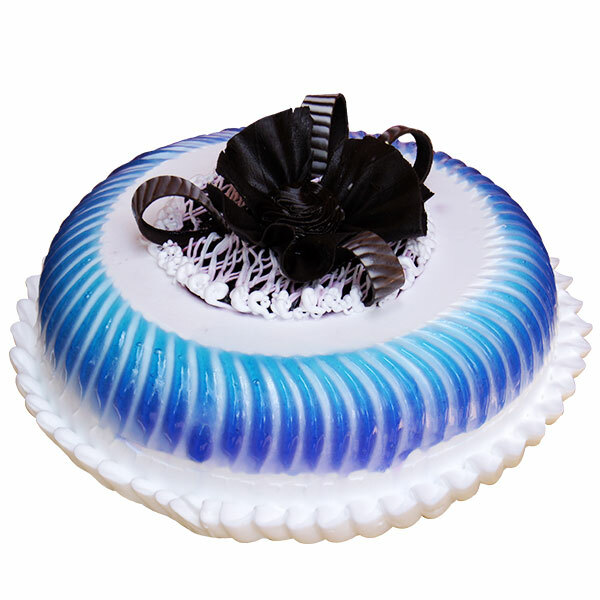 This is a 1 kg Blueberry Buzz Cake that is designed and decorated contemporarily to match up every taste and preference. 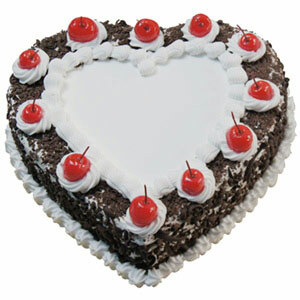 Apart from the beautiful designing, this cake will be loved by everyone for its yummy tangy taste. Apart from the bread base and creamy topping the key ingredients of this cake are flour, powdered sugar, baking powder, eggs, blueberry syrup and more. 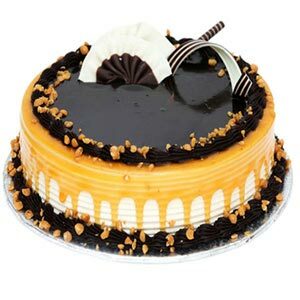 You can also opt for eggless version of this cake and enjoy celebrations and festivities.